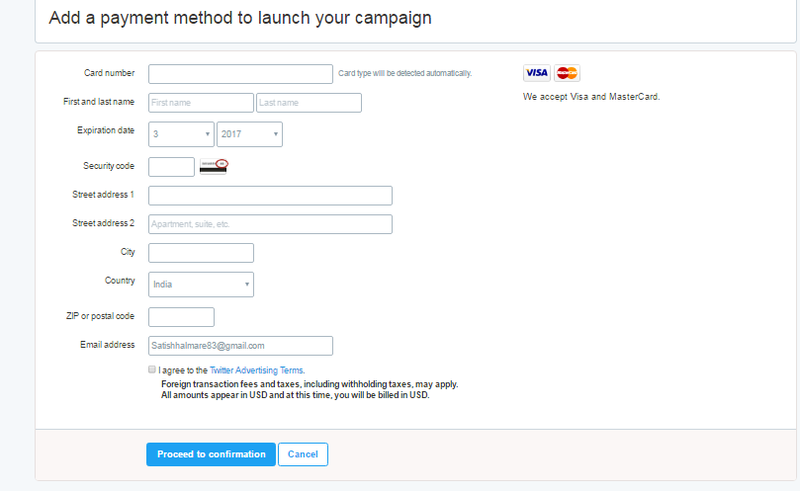 How to Run Twitter Ads campaigns ? 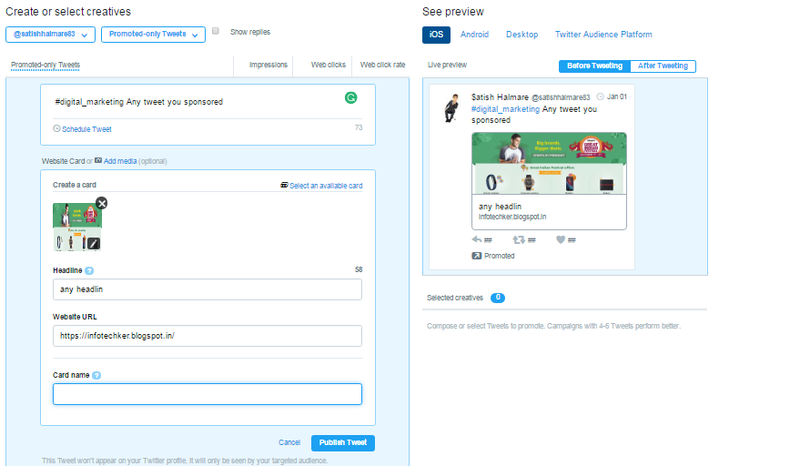 Hello in that Article we are discussing the how to set twitter ads campaign for Business or website traffic. twitter ads its similar to facebook because both are the top social networking website. facebook is targeted the local business and twitter is targeted the international audience, basically, twitter is use to make a brand of our business. Facebook is best than twitter for boost traffic and more engagement. 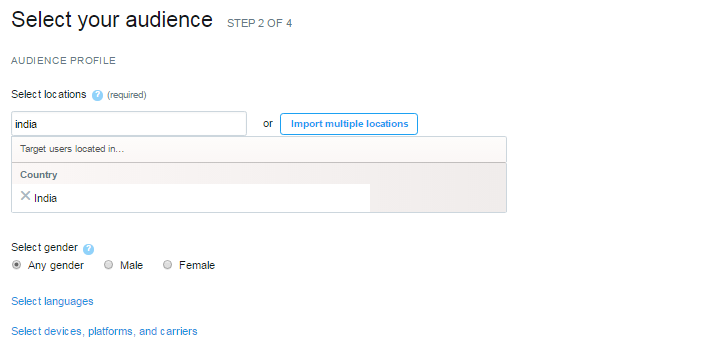 login to twitter and click to profile and select Twitter Ads link, twitter redirects ads campaign dashboard . 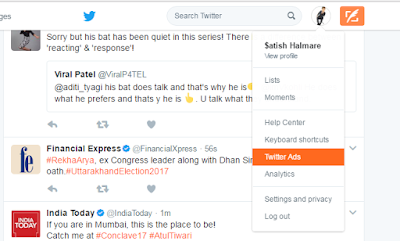 You can see there is some option for make ads, website click, follower, Awareness, tweet engagement, video views, app installation etc. It’s similar to facebook ads campaign but there are we use only 140 characters for message. Click to Create Campaign button. Set your campaign to write your campaign Name ex. Digital Marketing ads. Add your date to start and end campaigns. Add your website URL or Landing page URL for user click and they redirect to page. Also, you can select the category for your ads product, services. Select your targeted audience to you shows your ads its importance to targets the specific user, select gender option, you can targets language, devices also. Add any keyword about your business it’s just like the word. Set your per day Begets and totally begets for running ads campaign. 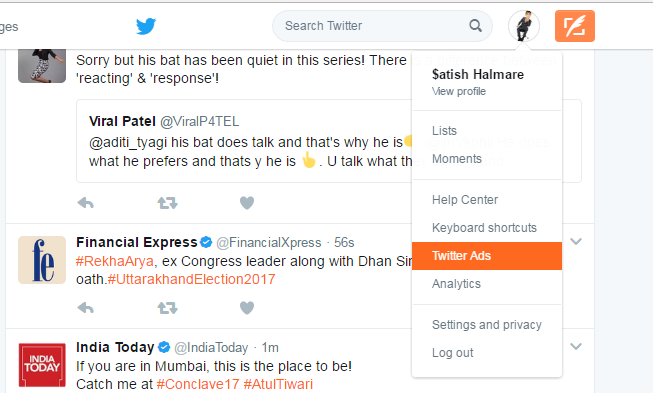 In tweeter, you can pay only $ for ads. Tweets that give people a reason to take action. All Tweets must include an URL or Website Card. You can see the promoted example of your ads in the box. Add payment for using your card make payment and it done your ads can be running after twitter reviews. Conclusion: twitter ads campaign are the one of the best for making a brand value of business but the new website it’s not better than facebook, I use twitter ads but I am not satisfied with that very ads , low engagement and conversion rate, less than people click to the website link. Nice article for beginners .. Here at this site really the fastidious material collection so that everybody can enjoy a lot USA online marketplace.